The endothelium is a thin layer of endothelial cells which lines the interior (the lumen) of blood vessels. It serves as a barrier to the outer tissue. Furthermore, it produces nitrogen monoxide, which regulates the cardiovascular system. The continuous endothelium is a particularily impermeable form of the inner lining of the blood vessels. Its most important function is to construct a (diffusion) barrier in between the blood and the tissue – especially at capillary level. Continuous capillaries possess a uniform thin layer of endothelial cells without any interruptions or pores. Characteristic here is the formation of very dense cell-to-cell contacts (tight junctions) in between the endothelial cells. 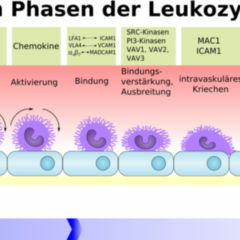 Highly selective transcellular transport mechanisms serve in the exchange of substances through the endothelium, which is impermeable for most substances within the blood and the cells. Additionally, the endothelial cells – with the exception of the capillaries in the CNS region – are provided with so-called caveolae. Discontinuous (or sinosoid) endothelium is an extremely permeable form of endothelium. This permeability is based on the wide and perforated distances in between the majority of the endothelial cells. 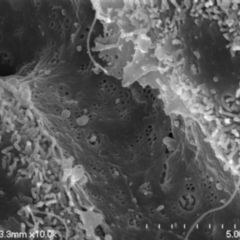 A very typical characteristic is the formation of so-called pores, which are accessible even to blood cells. This special architecture of coarse-meshed cellular contacts serves in the first instance in the paracellular transport route. Capillaries with discontinuous endothelium enable an unhindered transport of every (liver sinusoid), that is to say the most (renal glomerulus) components of the blood. 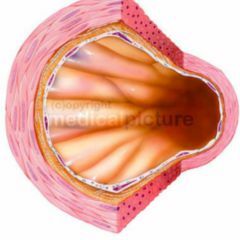 The fenestrated endothelium (Latin: fenestra - window) is, in contrast to the continous endothelium, particularly permeable to water and small hydrophilic substances. 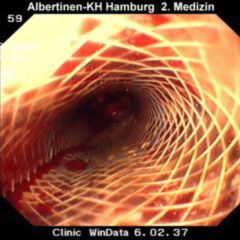 A peculiarity of this endothelium is that it possesses fenestrations of 20-100 nm, which however do not show any discontinuity as part of the base membrane and are barred by so-called diaphragms. 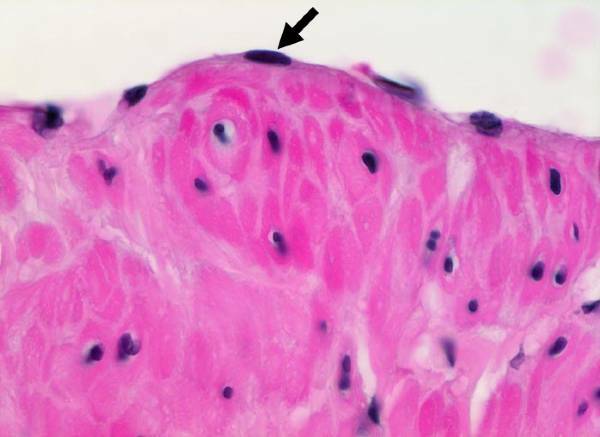 The diaphragms of this fenestrated endothelium are approximately 4nm thick, consist of extracellular matrix (heparan sulphate proteoglycan) and carry a negative electric charge. The endothelium of an adult person constitutes a surface area of 4.000 to 7.000m²; its weight amount to approximately 1 kg.